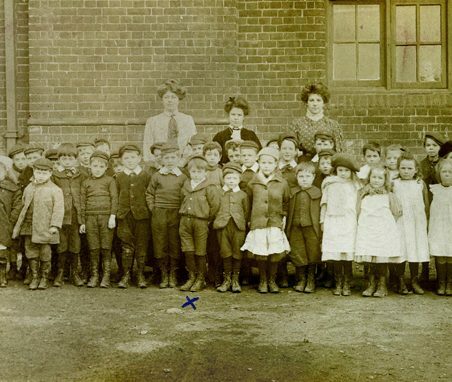 Hadleigh School Class c.1912. Gill Blackall's father Ben Chalk was born 1904. 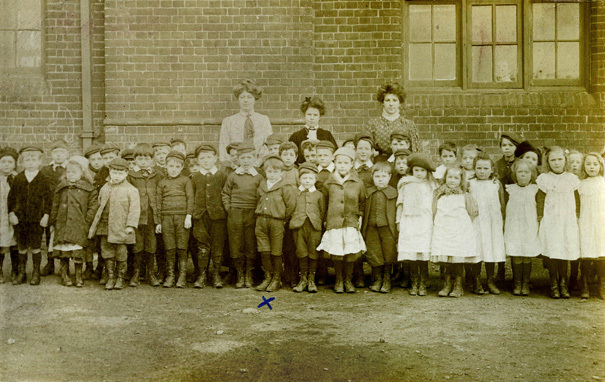 Here he is front row, marked with an 'x'. 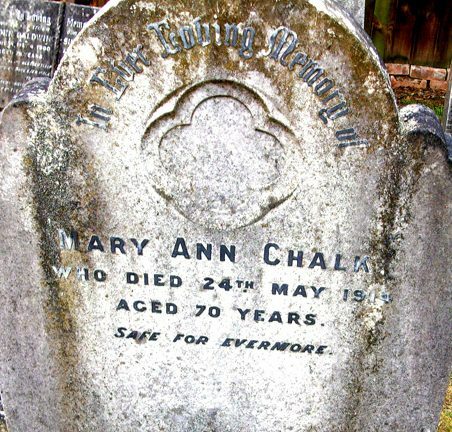 Headstone for Mary Ann Chalk (b.1844, d.1914). 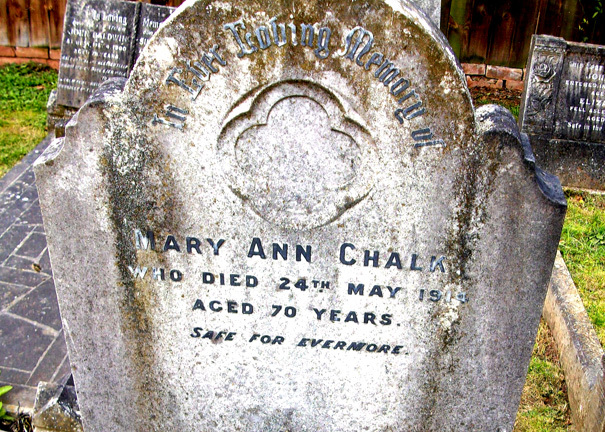 Both can be found in the Peculiar People's cemetery off Western Road, Daws Heath. 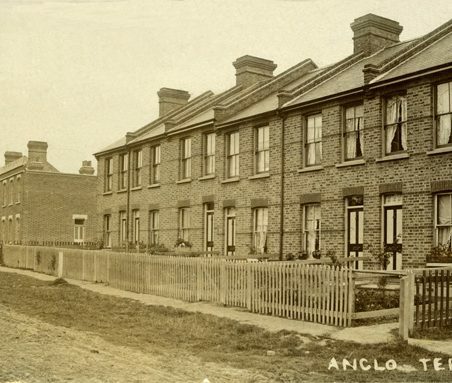 Herbert Angelo and Alice Chalk's sons Herbert John (b.1902), Ben (b.1904) and Henry George (called Harry, b.1905) were born at 'Anglo' Terrace, Beech Road, Hadleigh. The terraces are still there, though they are not easily recognisable. 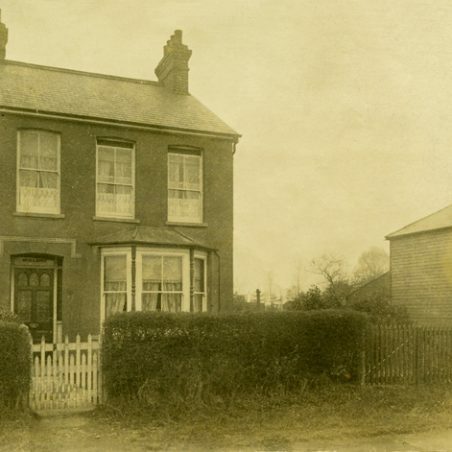 On right, behind the picket fence, the Hadleigh Institute, corner of Church Road and Rectory Road (now Choice), where Herbert Angelo Chalk lived with his wife Alice and their three boys in 1911. 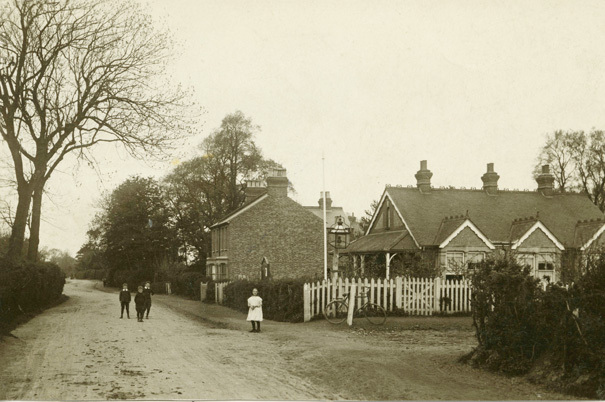 In this view of c.1914 we find the boys Herbert John, Ben and Harry standing in Rectory Road. 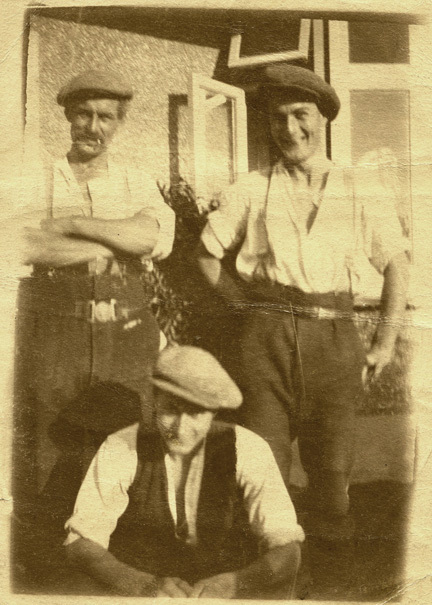 In the 1920s Herbert and Alice Chalk with their three boys Herbert, Ben and Harry lived at 'Woodlands', New Road, corner of Templewood Court. 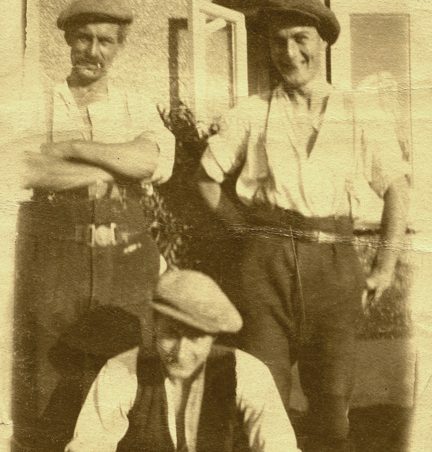 Herbert Angelo Chalk (left) and his sons Herbert John (called Jim) and Ben (foreground) at 'Woodlands', New Road, Hadleigh. 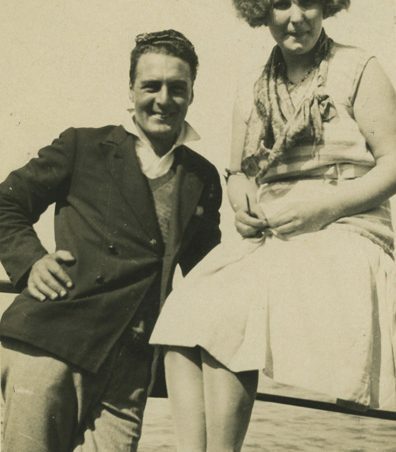 Herbert John Chalk (Jim) and wife Eileen (early 1930s). 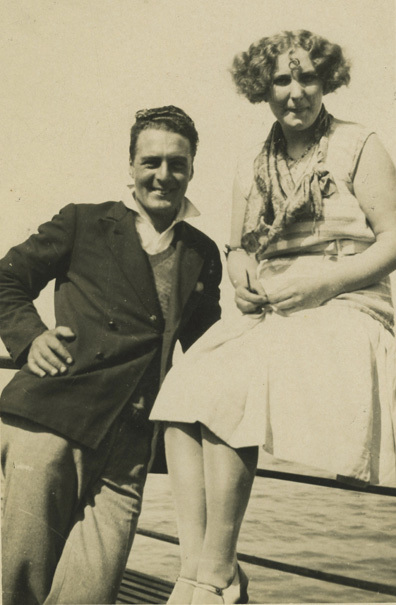 Henry George (Harry) Chalk and his wife Pauline (late 1930s). 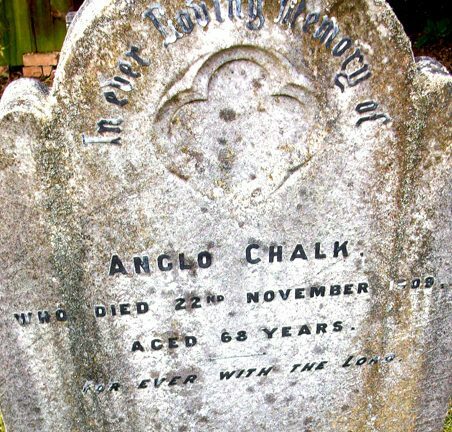 In the centre Herbert Angelo Chalk. 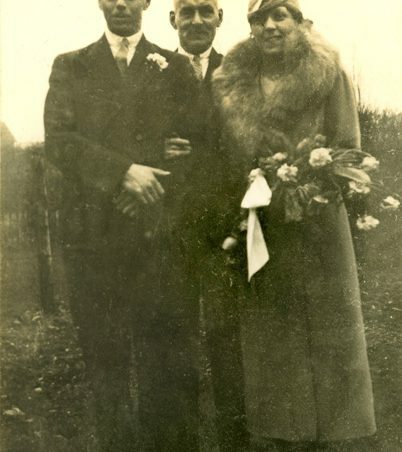 Wedding of Ben Chalk and Rose Johnson, 12 June, 1929. Back row 2nd and 3rd from left Herbert John (Jim) and Eileen Chalk. Henry George (Harry) Chalk 3rd row from back in dark suit behind groom. 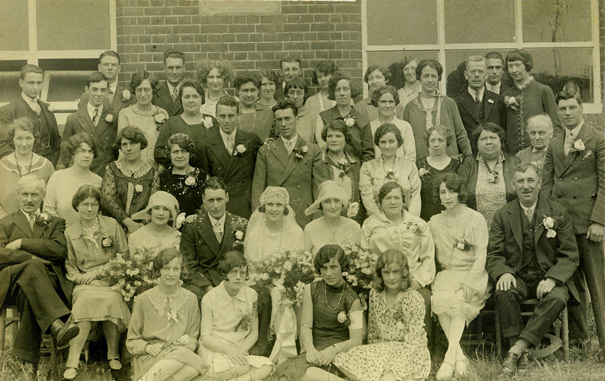 Herbert Angelo and wife Alice Jane seated, 2nd row, left - parents of the groom. 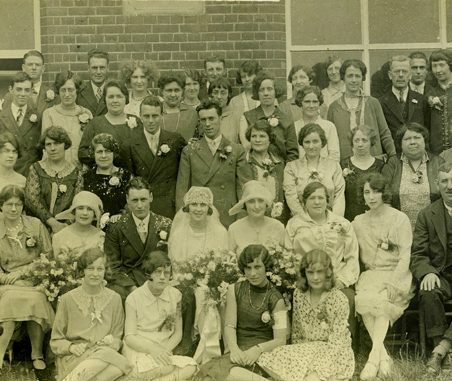 Seated right, 2nd row, George Johnson, father of the bride and farmer of 'Hovels Farm', Fobbing. Mother of the bride Emma Johnson, 3rd from right, 2nd row. 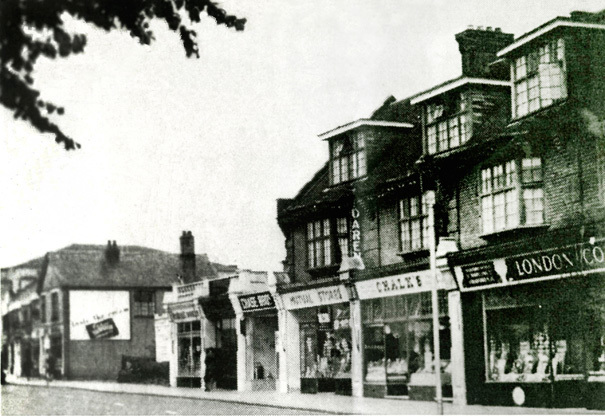 'Orchardville' in Daws Heath Road, early 1930s. 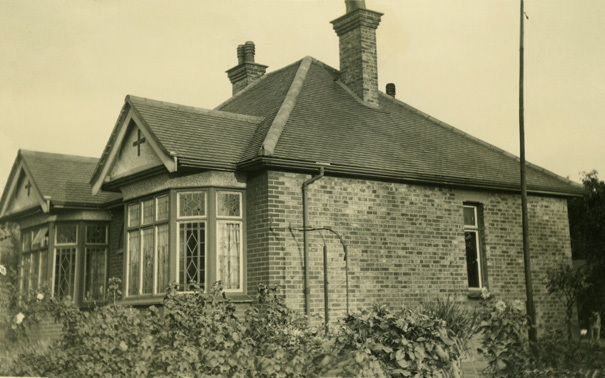 The bungalow was sold in 1959. In June 2004 it was for sale at £249,995. 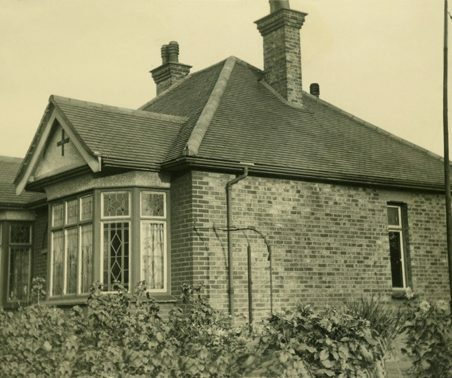 Rear of 'Orchardville', Daws Heath Road. 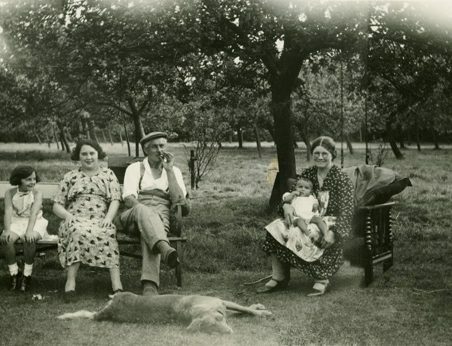 From left: Sheila Chalk, next Rose Chalk, Herbert Angelo Chalk, Alice Jane Chalk with Gillian Anne Chalk on her knee. The dog was also called Sheila. 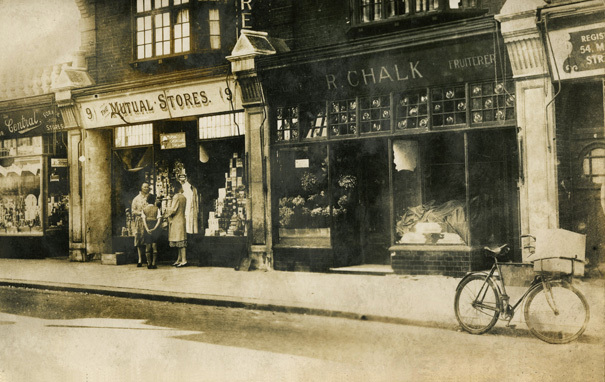 R. Chalk, Fruiterer, 1932, then at 8 Central Parade, Hadleigh. In 1939 'R. Chalk' became 'Chalks'. The premises are still owned by the family. 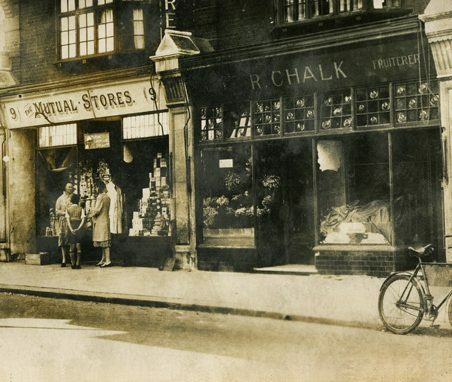 From right to left: The Co-op grocery; Chalks, No. 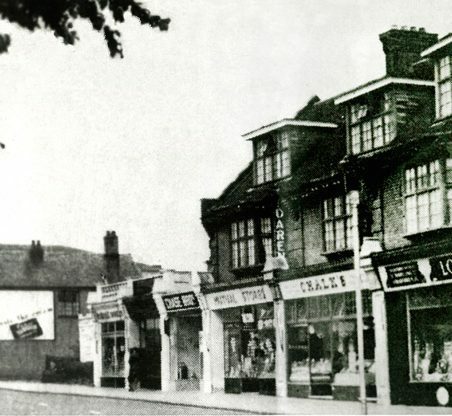 8 Central Parade, now 239 London Road (The Salvation Army Shop); Mutual Stores groceries; Chase Brothers corn chandlers; Pettens jewellers; Howard Dairies and a seat for the elderly, before Sharps the opticians. 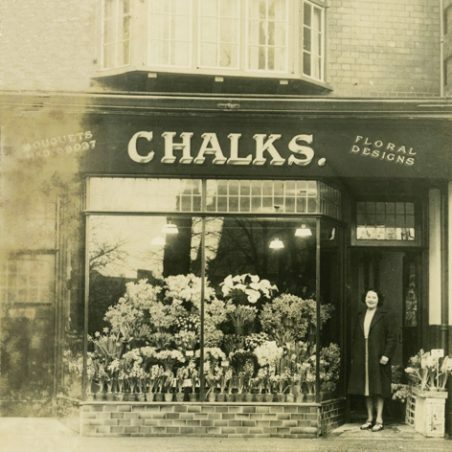 Rose Chalk at her flower shop - Bouquets, Floral Design - at 4 Central Parade, Hadleigh, now 247 London Road. Telephone number was HAD 58037. Numbering of premises: In September 1955 Nr. 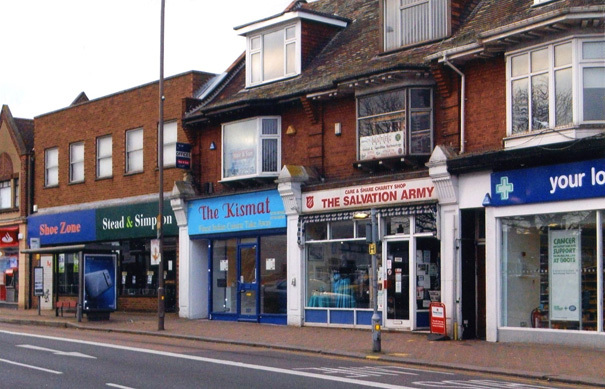 8 Central Parade (Chalks greengrocers with flat over) became 239 and 239a. Today Chalks greengrocers have become the Salvation Army shop. 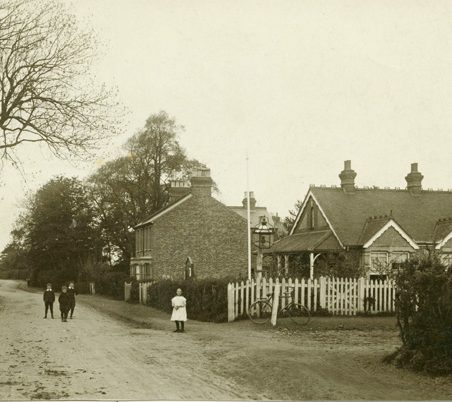 By 1881 the Chalk family were living at ‘Heath Road’, Thundersley, with daughter Louis(e) and sons Herbert and William. Herbert Angelo and William were still there in 1891. 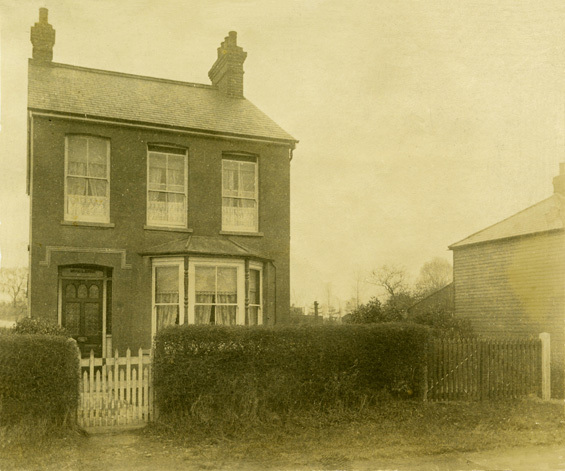 1911 records Herbert Angelo Chalk and his wife Alice living at ‘the Institute’, Rectory Road, Hadleigh. Their children were Herbert John (9), Ben (6) and Henry George Angelo (5). 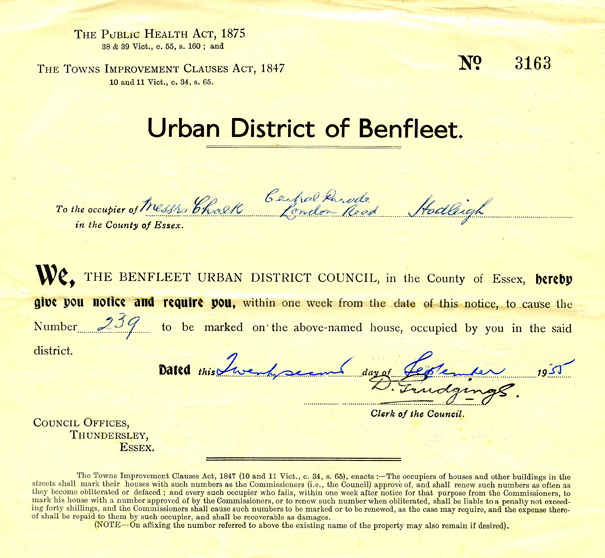 The Electoral Register of 1918 shows Herbert Angelo Chalk and his wife Jane still living at ‘the Institute’ in Rectory Road. William James Chalk lived at 4 Beech Villas, Leigh Road. 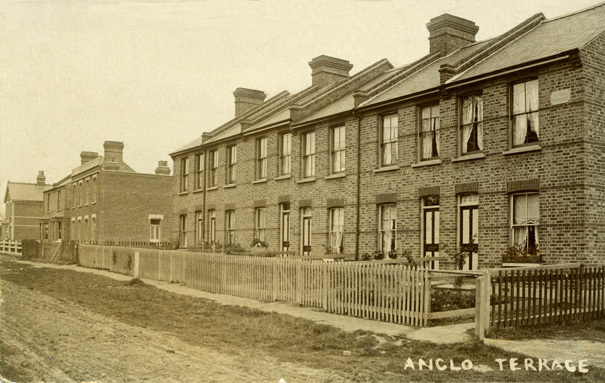 In 1929 Herbert Angelo Chalk and wife Alice, with children Ben, Harry, and Herbert were living at ‘Woodlands’, New Road, Hadleigh. William was still living at 4 Beech Villas. 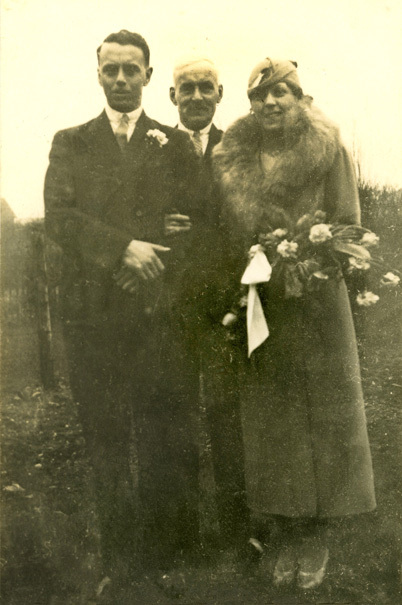 Ben Chalk married Rose Johnson of Hovels Farm, Fobbing, on 12 June, 1929. 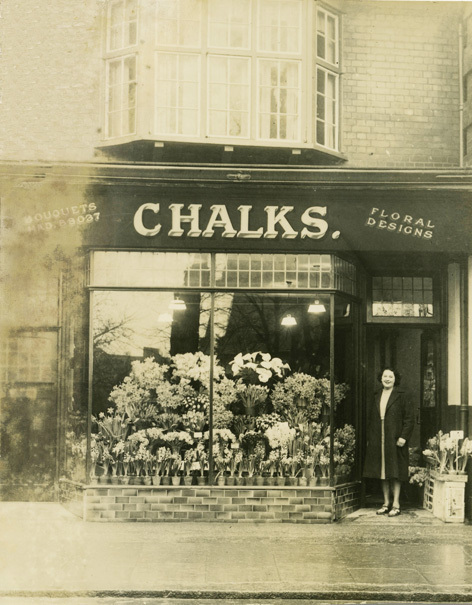 Later Rose Chalk kept her flower shop and at one time a greengrocers in Hadleigh’s Central Parade, now called London Road. Fruit and vegetables would be delivered to her shop by bicycle. 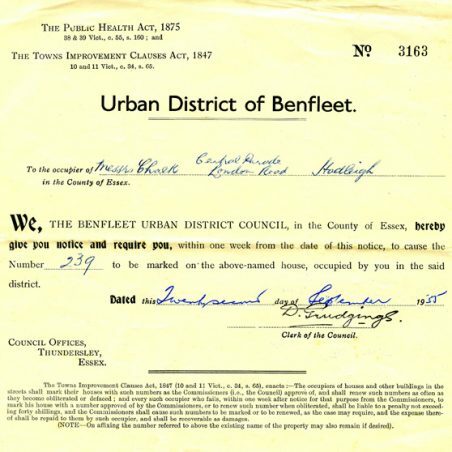 Her husband Ben was a carpenter at Underwoods Boatyard, South Benfleet. When he took it upon himself to change the names of her shops from ‘R. Chalk’ to simply ‘Chalks’, she was not best pleased. Peter Rigden remembers how, as a boy, he picked berries along the hedgerows and sold them to Chalks the greengrocers for 3d. (three old pence) a pound. Thanks to Gill (née Chalk) and Colin Blackall for story and pictures and to Karen Bowman for her research. My mother Doris Chalk (b.1916) and her younger sister Ida were the daughters of William James Chalk. He married Ada Parish in 1914 but she died in 1922; after that he brought up his two daughters alone with the help of a housekeeper. William James died in 1950 and is buried in Hadleigh church yard. He lived throughout at 4 Beech Villas (also known as 284 London Rd); my mother and father also raised their family there until 1963. 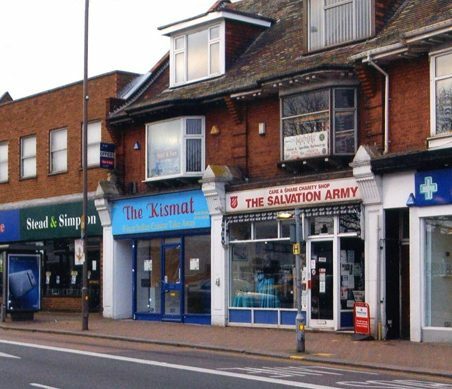 The property was owned by Upson “cousins” and was part of the housing (and pet shop, and car dealer) that is now the site occupied by Lidl, and before that Maplin. William James Chalk belonged to the St James Lodge of the Royal Antedeluvian Order of Buffaloes ( a working class version of the Freemasons I think?) I have his lodge medals and two letters of condolence on the death of his wife; one from the St James Lodge secretary – surname Smith, initials unclear possibly R W; and one from Victory Lodge, Castle Hotel Hadleigh, secretary W J Knight. My mother who is Irene Chalk, her father was Ernest Chalk who worked for Marsh and Baxter: meat suppliers. His father was the one who had the greengrocers; don’t know his name but was married to a lady called Drinkwater. 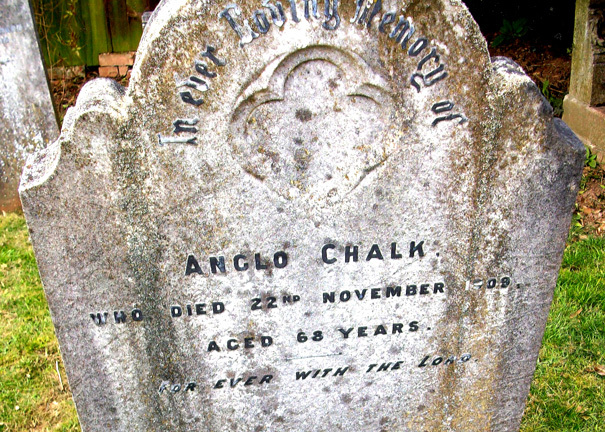 He had a brother called Sydney Chalk. My mother was born 1934 as Irene Chalk; her grandfather had a shop, a greengrocers I believe. I know it was somewhere in England as we are all Scottish, she had 3 sisters and 3 brothers. I’m sure her father was a brummie and moved down south during the war, feel there must be a connection especially with the shop !!!! I am so excited to read this, I am researching my family tree and my great great great grandfather was John Chalk. I’d love to hear from anyone who is related to this family. My mum’s family lived at Number 1 for as long as I can remember; my mum was born there in 1917 and died at the end of 2012. Indeed it was my first home; it ceased to be the family home around 1959 but I have lots memories of being there with my grandma. There used to be an alleyway at the back dividing the gardens. The last house was the home of a Mr Robinson, who only had one arm; somewhere in the middle lived the Smith family. Ah, Chalks! 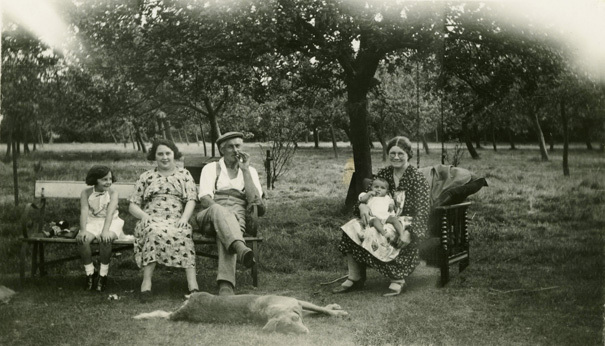 In the flat above Chalks, in the 40s and 50s, lived a family called Joseph. I was great friends with the son Tony, who I recall went to Westcliff High. He taught me to ride a bike, and I became a racing cyclist in the Benfleet Wheelers. Tony’s dad was policeman in South Africa, I think that really was their nationality, and he was rarely there. When I visited the UK in the 90s, Tony and I got together and had great reminiscences. This is super, I am currently researching my family tree and believe I am a direct descendant of John Chalk. One of our relations stood 6 away from the one marked with x. Great to see the school photo.